Meyer Van Severen, S.C. is a criminal defense law firm based in Milwaukee, WI. Operated by Milwaukee criminal defense attorneys Matthew R. Meyer and Benjamin Van Severen, we defend criminal and drunk driving cases. If you’ve been charged with a criminal or drunk driving offense, contact us immediately. It’s important that you have a skilled criminal defense lawyer on your side. Concours Motors is a Milwaukee new and used car dealer with BMW, Mazda, Mercedes-Benz, Porsche, Saab, Volkswagen sales, service, parts, and financing. Concours Motors is also a Porsche dealership selling Boxster, Cayman, 911, Cayenne, and Panamera series Porsche vehicles. Check out our online inventory. Need a new ride? Visit russdarrow.com. With thousands of new and pre-owned vehicles in stock, you’ll be sure to find the car of your dreams, in your price range, from Russ Darrow Group! See the online stock of 15 new car dealerships, from manufacturers like Honda, Toyota, Nissan, Mazda, Mitsubishi, Kia, Chrysler-Jeep Dodge, and Scion, as well as listings of all their pre-owned inventory, including their Used Car Superstore! Or, call one of our representatives at (262) 253-7522 for help finding what you need. The Delafield Brewhaus is your one stop for everything you could want. The Delafield Brewhaus features 5 beers that are brewed all year long as well as different seasonal beers. With a full menu including hearty sandwiches, salads, woodstone pizza, fall off the bone BBQ ribs, steaks and rotisserie favorites, it will be hard to leave unsatisfied. 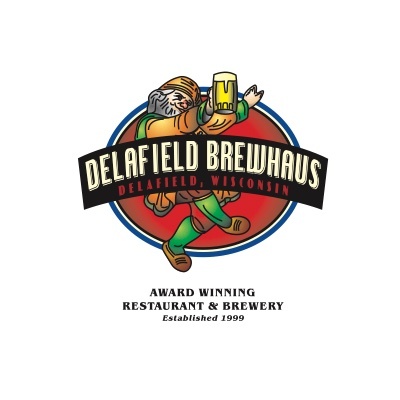 Visit our Facebook (Link: https://www.facebook.com/pages/Delafield-Brewhaus/393101766153) to see what is going on. Enjoy a relaxing, friendly environment at Laura’s Donges Bay Clubhouse, a great place to meet friends, family or co-workers for happy hour. On Friday, try “the best damn fish fry in Ozaukee County.” Order one of our home-made soups, along with our delicious sandwiches and sides. Make plans to visit us Saturday night for live music — check our website often for live entertainment info, weekly specials, events and a complete menu. 7520 W. Donges Bay Rd. Sweeny’s Gym is open 24/7 with NO joining fees, no card fees and no BS. Do you want to get trained by the best? Sweeney’s Gym is a privately-owned and operated by Michael Sweeney, a nationally recognized celebrity master trainer. Sweeney’s Gym provides all the amenities that will help you achieve your fitness goals, including a squat rack, free weights, cardio machines, dumbbells from 3-120 lbs., showers, free tanning and a swimming pool. They pride themselves on cleanliness! For more information, testimonials and news, please visit their website. PuppyWorld carries only the cutest, happiest puppies from reputable USDA breeders. Our puppies receive weekly vet exams, and we offer one of the best warranties in the state. Our store is family-owned and has over 20 years experience helping families like yours find the best fit for their lifestyle. Our highly-trained and experienced staff will help you learn all about different breeds so your family can make an educated decision. We’ll also help you choose the supplies you need to get off to a good start. From crates and food to toys and treats, PuppyWorld is your one-stop shop for all your puppy needs. With a variety of puppies available, we’re sure we have one for you! Take a look at a few of our puppies on our website. The Buddha Lounge is the hottest spot for Asian cuisine with an American twist. The Buddha Lounge offers a variety of options including organic and vegan options. Happy hour from 4pm – 7pm includes half off appetizers, rail drinks, tap beer, and bubble tea. The Buddha Lounge also offers free delivery every day until Midnight. Izumi’s features fresh, high grade seafood served the way the Japanese have been eating for thousands of years, without the heavy sauces! Offering Sushi, Sashimi, Maki Rolls, Izakaya Menu, Hibachi, Quick Lunch Salads, Robata, and a Lunch Buffet that will get you in and out as fast as you can serve yourself! Izumi’s is conveniently located on the fashionable east side and offers free parking in the rear. Call today for a reservation or special party platters.